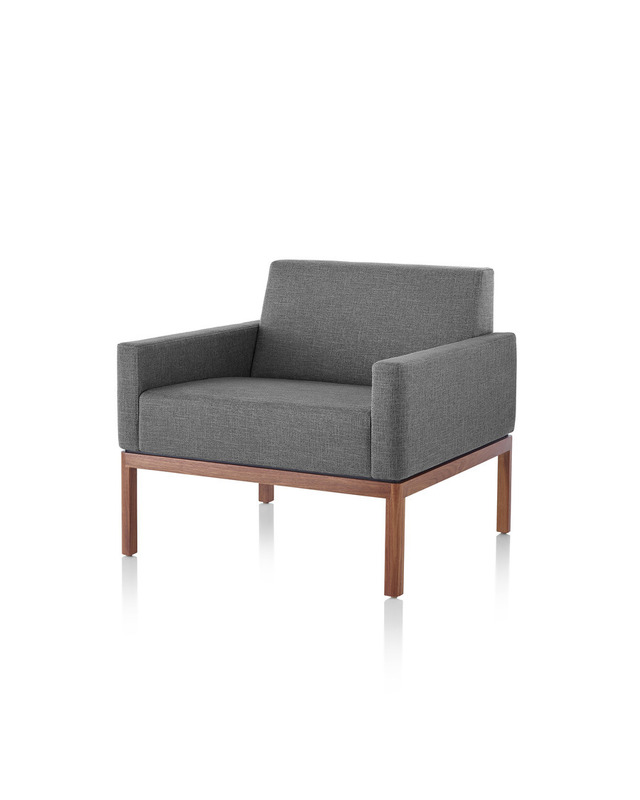 Clean and casual, Wood Base Lounge Seating cuts a quiet silhouette suitable for relaxed lounge settings. 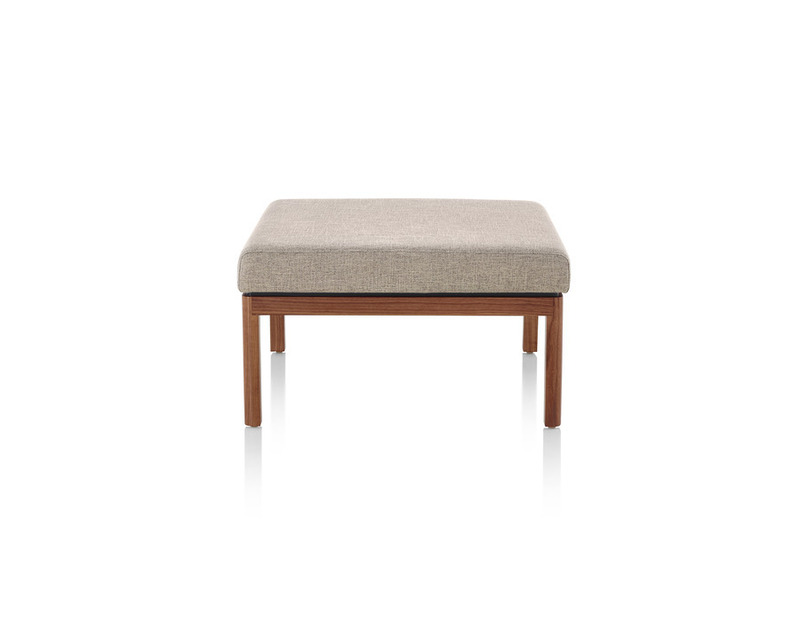 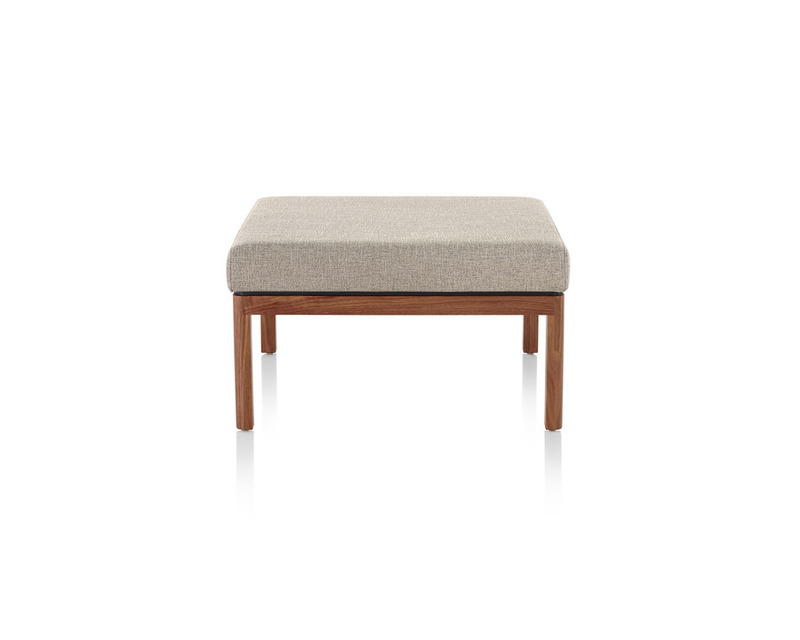 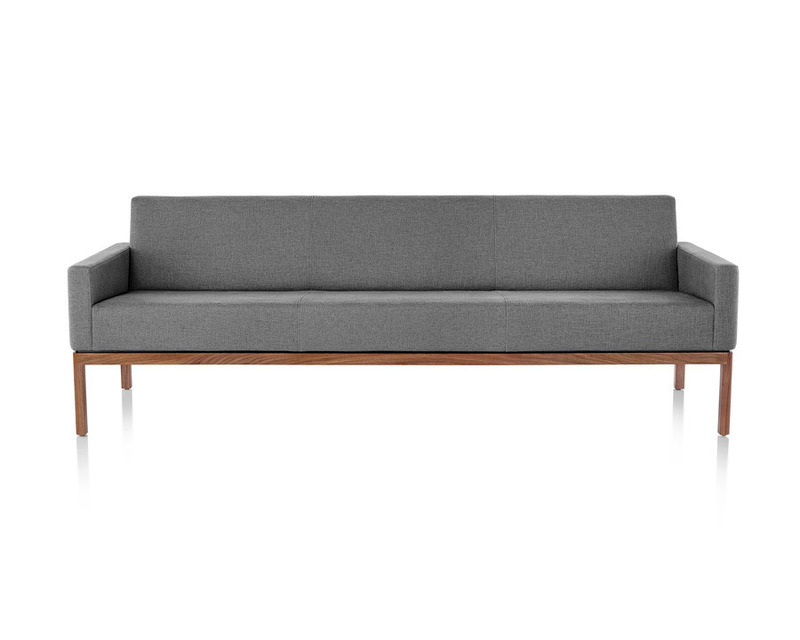 BassamFellows designed the collection around two key elements: the eponymous wood base and the neatly upholstered seats. 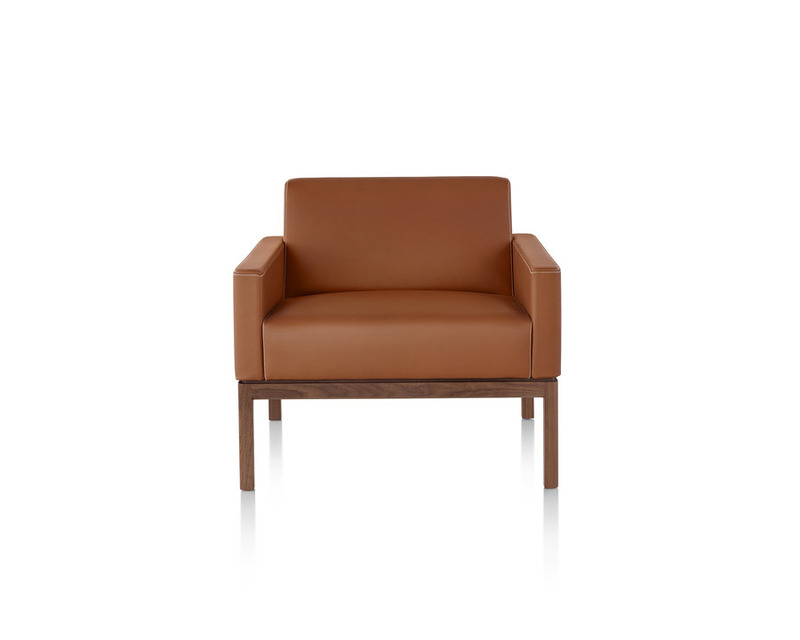 The versatile design is available as a sofa, settee, armchair, and ottoman.